A second chance at love set in the beautiful coastal town of Tarrin's Bay - after twenty years, will two old school friends finally find home? 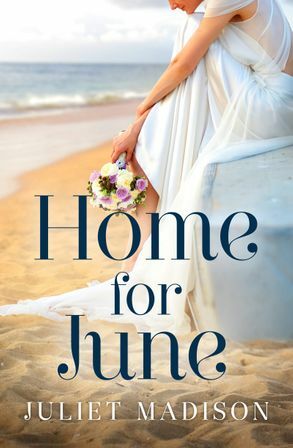 Practical and hard-working event planner Hannah Delaney has only ever known life on her family's chicken farm in Tarrin's Bay. Needing a fresh start, she has finally made the decision to move to the city. But just when her mind's made up, her past comes back to town - Luca Antonescu, her secret high school crush. Grieving the loss of his mother, Luca is back in Tarrin's Bay after years away working as a chef. He's finally ready to settle down and open his own restaurant in his parents' honour. When he runs into his old friend, Hannah's event management skills seem like the perfect fit for his restaurant's launch. But as they work together to set up the new business, secrets are uncovered and long ago feelings resurface. Luca soon realises that he wants more with Hannah. But the woman he wants to share it with has other plans. Will Hannah follow through with her move to the city, or will she realise that everything she's ever wanted is back home in the town of new beginnings? Juliet Madison is a naturopath-turned-author with a background in dance, art, internet marketing and perfume sales (yes, she was one of those annoying people in department stores who spray you with perfume). Nowadays she prefers to indulge her propensity for multiple careers by living vicariously through her characters. She likes to put these characters into extraordinary situations and take them on a challenging journey to discover their true passion and inner strength, weaving in some laughs, tears, romance and sometimes a touch of magic along the way. Living near the beach on the beautiful south coast of New South Wales, Australia, Juliet spends her days homeschooling her son and running her internet business and her nights writing fiction while doing her best to avoid housework.